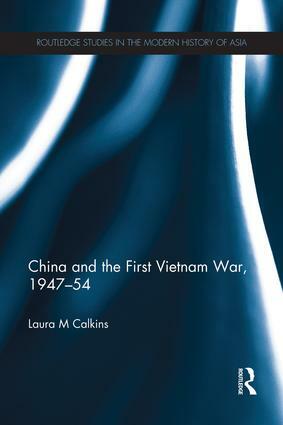 This book charts the development of the First Vietnam War – the war between the Vietnamese Communists (the Viet Minh) and the French colonial power – considering especially how relations between the Viet Minh and the Chinese Communists had a profound impact on the course of the war. It shows how the Chinese provided finance, training and weapons to the Viet Minh, but how differences about strategy emerged, particularly when China became involved in the Korean War and the subsequent peace negotiations, when the need to placate the United States and to prevent US military involvement in Southeast Asia became a key concern for the Chinese. The book shows how the Viet Minh strategy of all-out war in the north and limited guerrilla warfare in the south developed from this situation, and how the war then unfolded.